Tubelight Box Office collections have failed to live up to expectations. The film was expected to be one of the highest Bollywood grossers of all time, but it turned out to be a huge disappointment. The movie, in fact, started witnessing a drop after Eid, contradicting the predictions by trade pundits. So far the period emotional drama has grossed 153.36 crores (nett 106.50 crores) in India and 25 crores in the international markets. The film now stands with a grand total of 178.36 crores at the worldwide box office. Since there is no big release this week apart from Hollywood’s Transformers: The Last Knight, Tubelight should manage to rake in some decent collections in the weekend. Tubelight did not go well with the critics but Salman was pleased as they did not give minus rating to film. “The critics were really good. I was expecting minus 3 and minus 4 but they gave 1, 1.5 apparently, so I am very pleased,” said Salman at an event where his “Being Human” joined hands with PVR for an initiative under which every time when a customer book tickets for a movie at PVR, they will get the option to pay Rs 2 extra and this amount will be given to the Being Human Foundation for different causes. 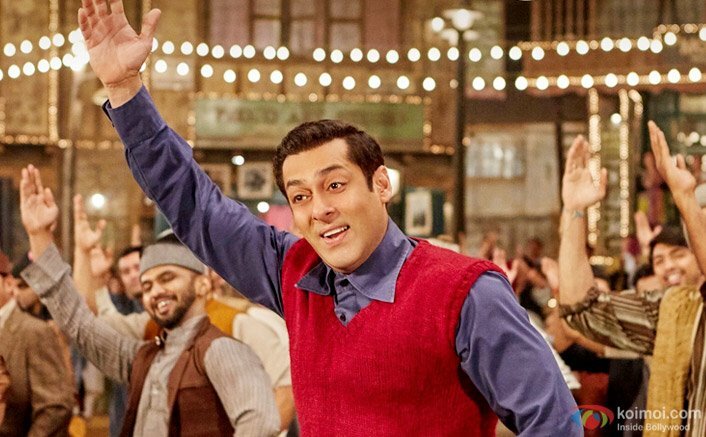 Tubelight marks the 3rd collaboration between director Kabir Khan and Salman Khan; the duo had earlier given blockbusters like Ek Tha Tiger and Bajrangi Bhaijaan. Produced under the banner of Salman Khan Films, Tubelight also features Salman Khan’s brother Sohail Khan, Chinese actress Zhu Zhu, Mohammed Zeeshan Ayyub, late actor Om Puri and Matin Rey Tangu in key roles. The post Tubelight Grosses Over 178 Crores Worldwide In 1st Week | Box Office appeared first on Koimoi.